In just a few days time, the world will be introduced to the town and people of Mindalby! This new series is brought to you by seven of the writers from the Bindarra Creek series, led once again by the intrepid SE Gilchrist. Suz’s book kicks off the series with Cotton Field Dreams on Monday 2nd July (yes, this coming Monday – eeeek!). The rest will be released each following week – while each book is standalone, they’re probably best read in order. Because, you know, SPOILERS! If you want to know more about the books or the series, check out our website. These will all be released in ebook but then the really exciting thing is the fact they will be released in two paperback bind-ups!! The first four books will be bound up as Heart of the Town, released on 1st August, and the final three released as Here to Stay on 22nd October. I will finally be able to walk into Big W and hold my own book in my hands! And it’s extra thrilling to share my print debut with Stacey and Linda! 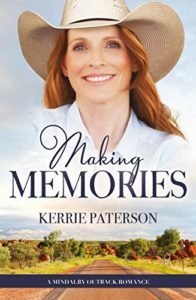 My ebook, Making Memories, releases on 18th Aug, and I have to admit, I’m getting pretty nervous what readers will think of it. It seems so long ago since I wrote it but I always lose complete perspective of my books by the end and am convinced they’re total shite. I hope I’m wrong! It’s such a nervous wait until reviews start coming out. Apologies for the radio silence lately. I’ve been head down, bum up with the day job(s) and the energy only spreads so far. It’s a situation I hope to change in the near future and I’ll get back into regular blogging. So what’s been happening in your world while I’ve been gone? 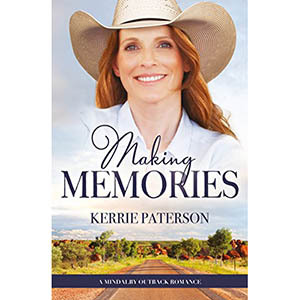 Massive congratulations Kerrie! I can’t wait to hold your book in my hands either!